Browse: Home > Success in extracting royal jelly from honey bee! Extraction of royal jelly has been successfully done through a value chain intervention under IFAD supported PACE project. 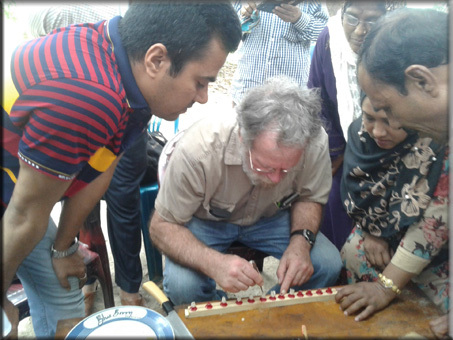 This is the first ever success in extracting royal jelly in Bangladesh. This Royal Jelly was extracted under the Value Chain sub-project under PACE project named “Income Generation of Beekeepers through Sustainable Beekeeping and Honey Production” implemented by Bangladesh Association for Social Advancement (BASA), a partner organization (PO) of PKSF. Royal jelly is a secretion of honey bee, which is considered as the ‘super food’ for queen bees and it is used for developing bee larva and queen. This extract enables a queen bee to maintain a highly productive life. Royal jelly has many health benefits for humans. Apart from improving immunization system and boosting energy, this extract has good impact in controlling blood pressure and other diseases. Bee keepers will now be able to extract royal jelly applying this technology transferred under PACE project. We are congratulating and appreciating all institutions concerned including farmers on this ground breaking success. 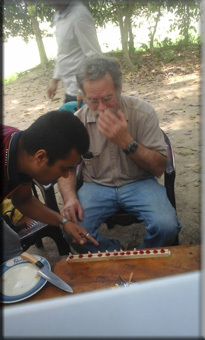 It can be mentioned that PACE project has achieved successes in other economic sub-sectors which includes establishment of the country’s first ever crab hatchery, establishment of Halda river research Institute, export of mung bean, establishment of Tissue culture lab and other common service centre and transfer of technologies for high value fruits and crops cultivation and so on.